Kanye West in Montreal or Quebec City? Inform me about the next events for Kanye West. Enroll yourself to our priority waiting list for Kanye West to be alerted when new tickets are available. Filling this form doesn't engage you to any purchase. Kanye West will be performing at the Bell Centre, in Montreal, on September 2nd, 2016. 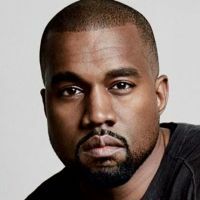 The American hip-hop artist will likely debut some new material from his latest album The Life of Pablo, which debuted #1 on the Billboard 200 charts based on streamings only (a first in history!). It's been 2 years since Kanye West last performed in Montreal. Originally planned for November 2013, the last Bell Centre show was postponed to February of 2014.